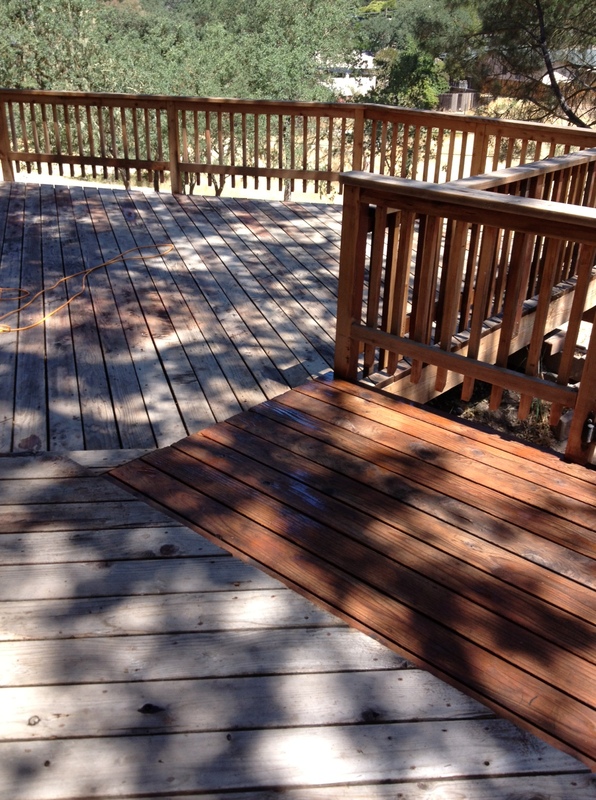 I mentioned in my last post that we finally tackled the staining of our deck. 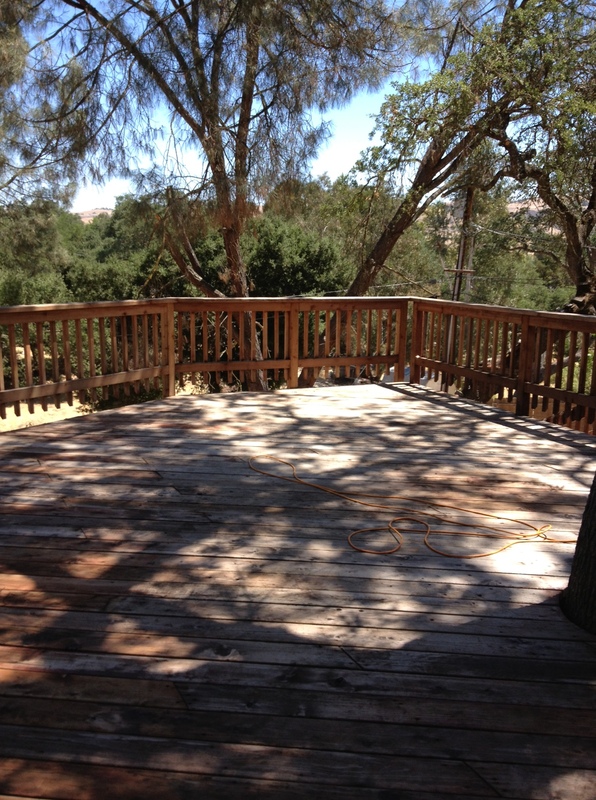 This project has been weighing on our minds for months, as the original deck wood was not protected. We were warned to stain/seal it before it got too hot. Unfortunately, the warm weather coincided with the end of the school year, when we are always super busy. But we promised ourselves that we would tackle it the second school was done. 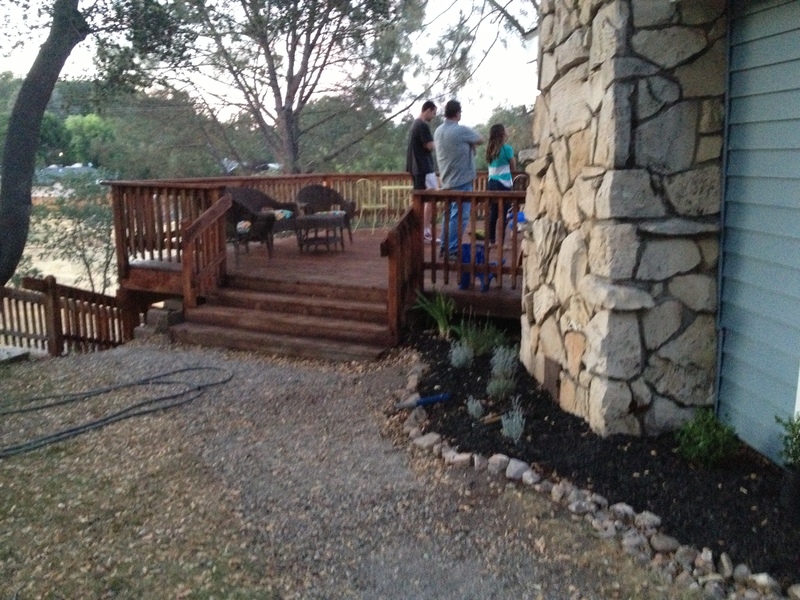 It took us (and, by us, I mean 75% Jesse) two mornings to get this done. The hardest part was the prep work. We had to use butter knives to scrape ever single crevice! 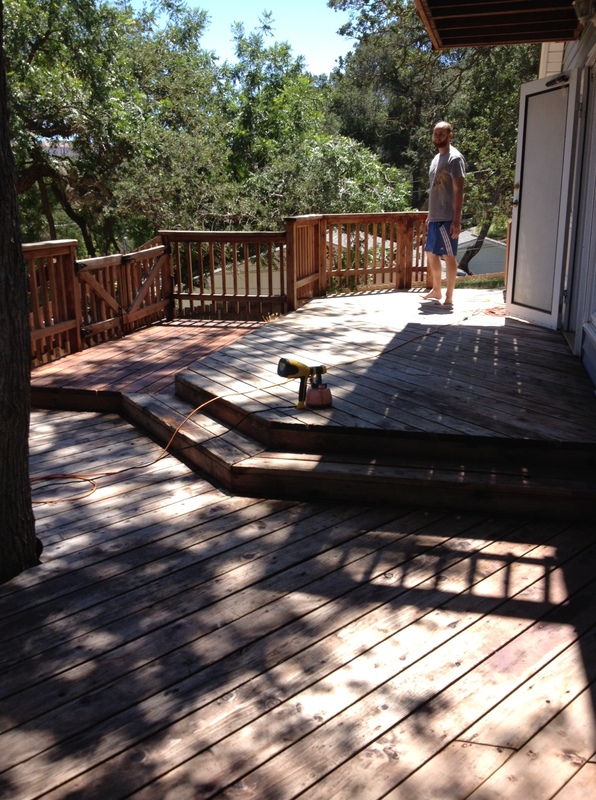 On a deck of this size…let’s just say it was not something I’m dying to do again. 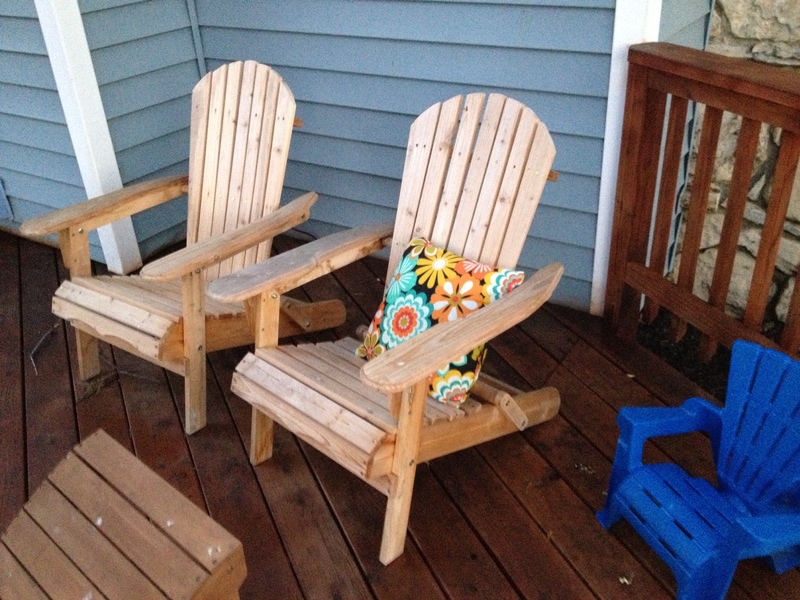 We used a paint sprayer and it worked really well! But the results were worth it! 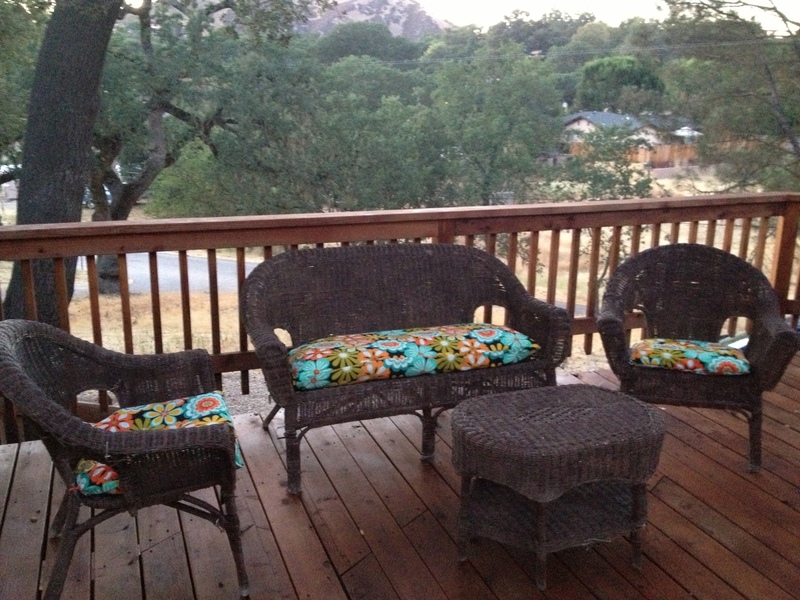 We just moved our furniture back up on the deck tonight and got to enjoy a few last minutes of daylight as the sun set. 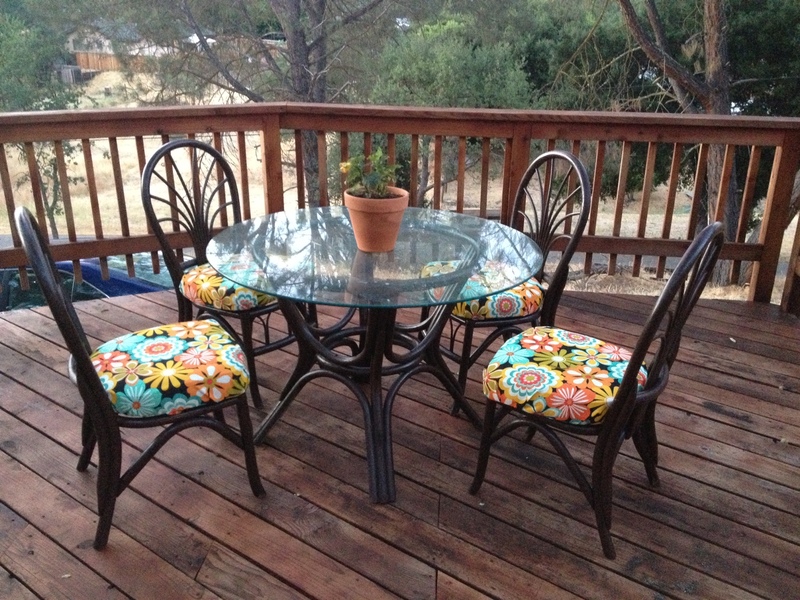 My $30 table and chairs that came with peeling paint and UGLY fabric. I love how they turned out!